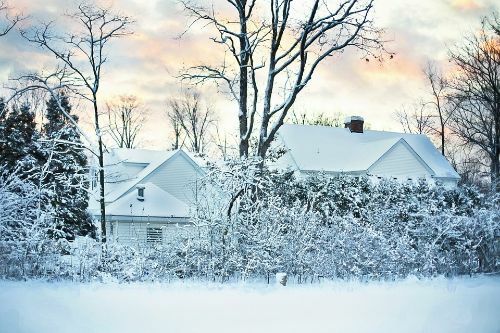 With winter fast approaching, the cold weather can be more than a discomfort for tenants. It can have some expensive repercussions for both tenants and landlords. Whilst it is vitally important that your landlord carries out basic winter maintenance it is equally essential that you, as the tenant, are well informed as to what you can do to keep your rented property safe. Contact details of your landlord – if you don’t already have them and your property is managed by letting agents, ask for them. You have a legal right to know who your landlord is and his / her contact details. It’s especially important to know them during winter because of the Christmas period when letting agents may be on holiday so make sure that you know who and how to contact someone if something goes wrong. Stopcock – Where the stopcock is located – if there is a burst pipe or other emergency related to plumbing you should be aware of where to turn off the mains water supply. If you don’t know how to do this, now is the time to find out! Heating – You may already know that the heating comes on and goes off at certain times but make sure you know exactly how the heating system functions. It is best to leave the heating on low if you are thinking about going away for Christmas and the New Year or set the timer so that the heating continues to come on regularly whilst you are away. Timed lighting – If you are going to be absent from the property during the festive period or at any other time, lighting timers are an excellent way to deter burglars. If you landlord has not installed them you might want to mention that they don’t cost a fortune and offer protection for the property when you are away on holiday etc. Fuse Box – Whilst you may know where the fuse box is, keep a torch somewhere handy so that if there is a blown fuse or a switch trips, you can find your way to it easily without having an accident. Condensation – this is the bane of the tenant’s and landlord’s life. Condensation occurs usually in rooms that do not have sufficient ventilation or heating and in poorly insulated properties. In the winter condensation problems are worse and cause mould to form, which in turn damages the paintwork, fixtures and fittings. Maintaining an even temperature in the property will greatly assist in reducing condensation. Burst pipes – if your landlord has not insulated the pipes, it’s a good idea to ask for this to be done. However, if the heating comes on at regular intervals or is left on at a low temperature this will reduce the potential of the pipes becoming frozen. None of us wants more expense than is necessary during winter when heating bills are higher than normal and there is also the additional expenditure over Christmas, so these basic things are well worth considering to prevent potentially expensive problems.